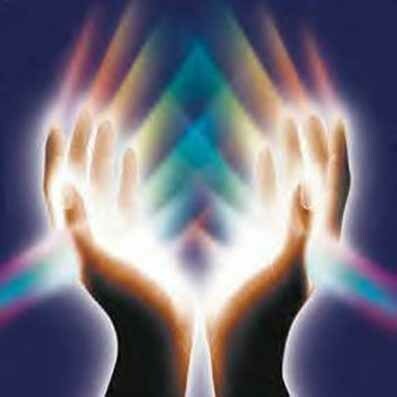 There are many of you reading this who have known for years that alongside healing work comes a deep love of music. When I’m not listening to music, I’m playing. I’m a multi-instrumentalist, playing bass, guitar, keyboards, drums, trumpet and flugelhorn (in no particular order). I’ve been making music for more than 35 years. On this page, I wish to present some of the music I’ve made. Some of the music I’ve made I can’t make available here, e.g., Canada’s theme song for International Youth Year 1985, on which I played all 3 trumpet parts. (Paul Hoffert, a founding member of the Canadian rock band, Lighthouse, was the composer and engineer for the session; something I shall remember till the day I die, as Paul was an icon for me as a youth.) What I can make available here, however, I intend to. Music, you see, is something that I believe wants to be free. And while I have no misconceptions that the music I’ve made will resonate with everybody, I hope that it touches enough of you to make it worth sharing. First off, I’d like to offer what I consider to be my personal accomplishment to date: Small Light. 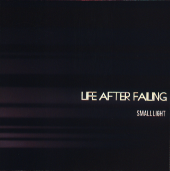 Small Light is an instrumental jam band album, which is to say there are a dearth of vocals. You won’t find any lyrics here. You’ll also find it decidedly NOT New Age as a genre. It rocks and, at times, rocks pretty hard. The first eight links are for the individual songs. The last link shown is for a zip file of the entire album. Choose whichever tickles your fancy. The music here is free. Should you wish to express thanks with a donation, I can but express my heartfelt thanks. I hope you enjoy the album. I positively loved recording, mixing and mastering it. I do hope to outdo it someday, but for now, it is the pinnacle of my achievements musically. For those who are interested in the gear side of things, I recorded the album using a CIJ Fender ’62 Reissue Fretless Jazz Bass through a UK-made Ashdown EB12-150. Summit is a song that Life After Failing recorded at a rehearsal back on November 11, 2005. This was an interesting piece of music for us and I think it does an excellent job of capturing how the band played with sonic textures in a free-form jam setting. The bass I used recording this track was my 1977 Fender Fretless Precision Bass (blank-plank maple fingerboard). Download Summit. I spent much of today (Sunday, Oct. 31, 2010) working on a new piece of music that I call Second Ascension. The idea of this piece is to give the listener a look into what it’s like to experience a deep “core point” meditation that takes one to the very edge of reality. It’s a long piece (21:04) that touches on both the peace and the discordance once can experience when venturing to places one has not been before. While it’s definitely of a new-age flavour, I think it’s also trippy enough that it could be interesting for other voyagers, too. Download Second Ascension.